At Aztec Mexican Food Products and Liquor we are passionate about Mexican cuisine and culture. It is not only about food and liquor, but about full immersion in the cultural experience. Mexico is well known for its rich culinary history – food and liquor is central to celebration, tradition and connection. Our team was proud to take part in the Fine Food Australia Expo for 2018. 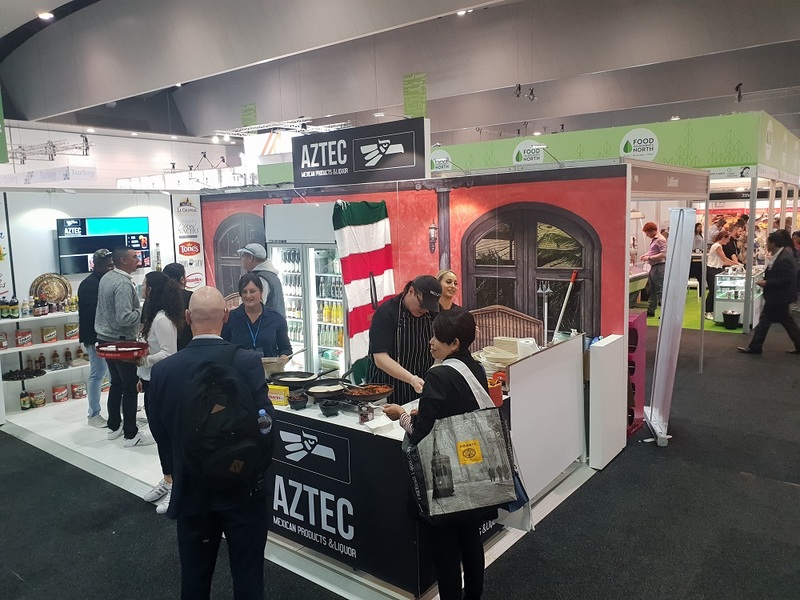 Held on 10th-13th September at the Melbourne Convention and Exhibition Centre, Mexican food took centre-stage and got the attention it justly deserves. 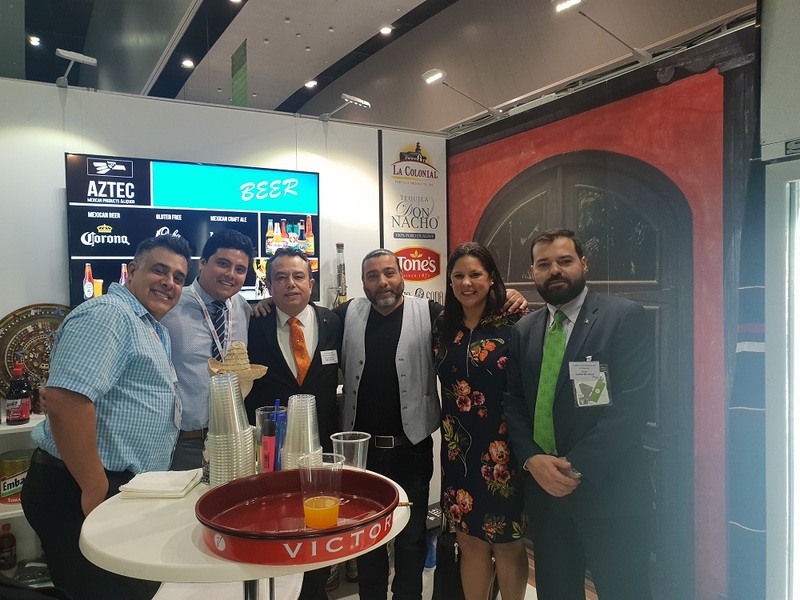 The highly regarded Fine Foods industry expo provided the perfect opportunity to showcase a selection of authentic Mexican food and liquor products. With an accomplished Mexican chef in attendance, we presented not only our vast selection of products, but created an abundance of traditional food tasting opportunities that invited others to share in the complete Mexican experience. In developing our business, Aztec Mexican Products and Liquor is focussed on promoting Mexican culture in Australia. This has been recognised by the Mexican Ambassador, Eduardo Patricio Peña Haller, and the Trade Commissioner at ProMexico Australia, Esau Garza. Praising John, Hellen and the Aztec team for their tireless work promoting Mexico in Australia, the Ambassador and Trade Commissioner attended our stand at the Fine Food Australia Expo. The stall was closed to other attendees during this time so that the esteemed guests could enjoy a private tasting of all the exciting Mexican food offerings. Our company has become an industry leader, a key ingredient in helping hospitality service providers bring the joy of Mexican fare to Australians. As a wholesale provider, we proudly supply the best Mexican restaurants and businesses across the country with quality ingredients and products. We also open doors for Mexican food manufacturers, providing an effective and far-reaching vehicle for the promotion and sale of their products to Australian businesses and members of the public. A drawcard for people in the hospitality, retail and foodservice industries, the Fine Foods Australia trade expo is a great opportunity to promote everything we love about Mexico with people who are key players in bringing culinary brilliance to the Australian public. The purpose of Aztec Mexican Food Products and Liquor goes beyond simply selling quality products. We know how exciting the whole Mexican cultural experience can be. We want to encourage people all over Australia to enjoy the wonder of authentic Mexican cuisine, with all of the rich culture that accompanies it.